Happy 2017 from all of us at deBebians! I cannot believe that 2016 is over and it’s already a new year! Today, I wanted to share a few pieces of jewelry that feature garnet, the birthstone of January. These pieces of jewelry are perfect to present to a new mother that gave birth to a child born in January. They also make unforgettable gift items for a recipient that was born in January. 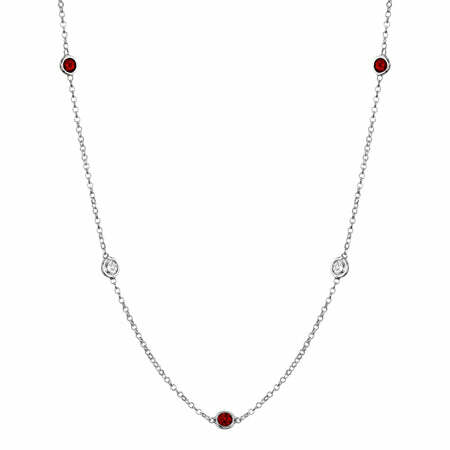 I love the combination of garnets and diamonds in this classic piece of jewelry. 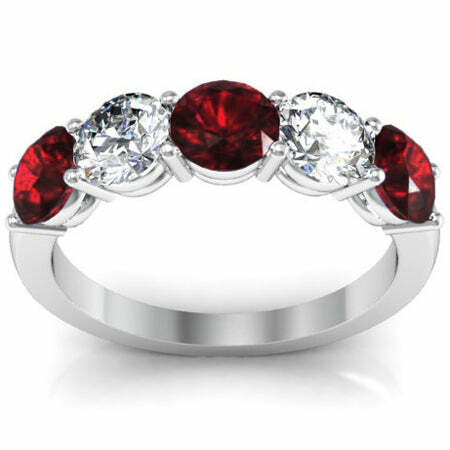 This ring is set with alternating G-H color SI clarity diamonds and AAA quality garnets. Choose the metal type, setting style, and between garnets or rhodolite garnets to complete your order. A diamond station and gemstone station necklace is the perfect accessory for any woman of any age. Choose between 14 karat white or yellow gold or platinum for this seven stone necklace. We use AAA quality garnets and F-G color VS clarity diamonds that weigh approximately 1.00 cttw (carats total weight). This necklace is available in either 16 inches of 18 inches. Floating halo earrings are decadent, luxurious pieces of jewelry and definitely worth the splurge. 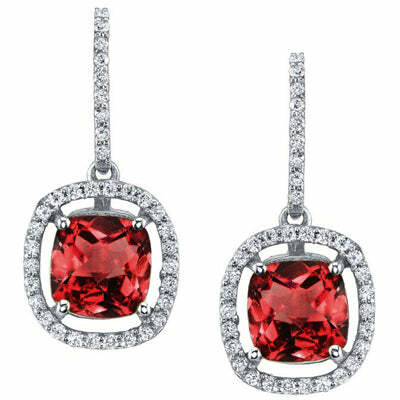 These earrings are each set with a 6x6mm cushion cut AAA quality garnet. The floating diamond halo will be feature G-H color SI clarity diamonds weighing approximately 0.40 cttw. Use our gemstone jewelry guide to see additional January birthstone jewelry that is currently available from deBebians.